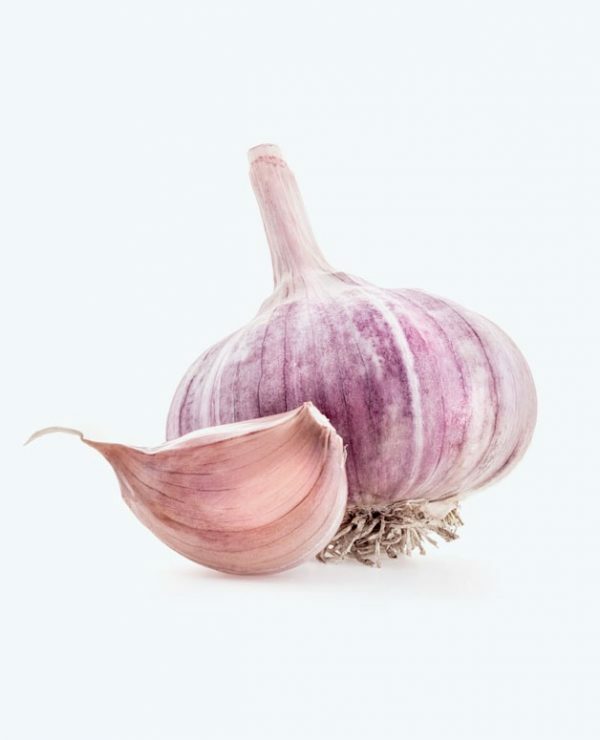 A glazed purple stripe garlic, originally from the Republic of Georgia. Purple Glazer is listed in the Seeds of Diversity Canada catalogue of heritage varieties. Harvest Mid-season. Satiny clove wrappers, a vivid, royal purple tinged with shiny gold and/or silver hues makes this one of the most attractive garlics. A sub-variety of Purple Stripe that likes cold winters. 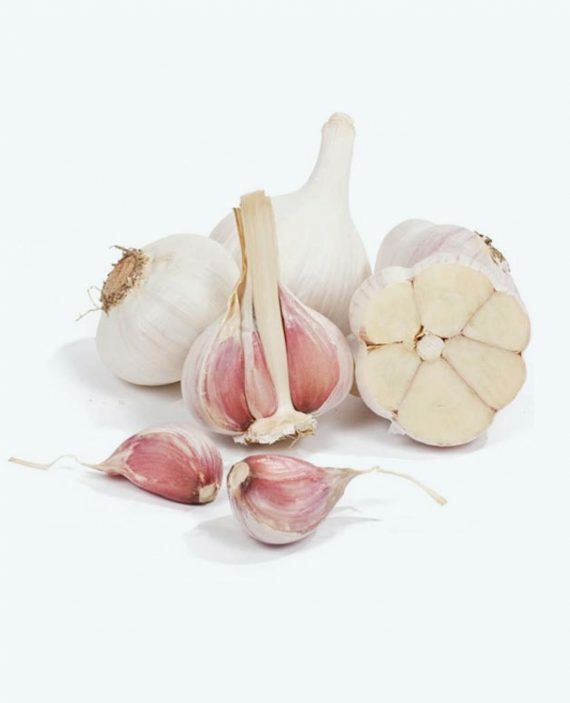 Purple Glazer is a medium-hot garlic that has sharp flavour with sweetness underneath, and is backloaded with spiciness. 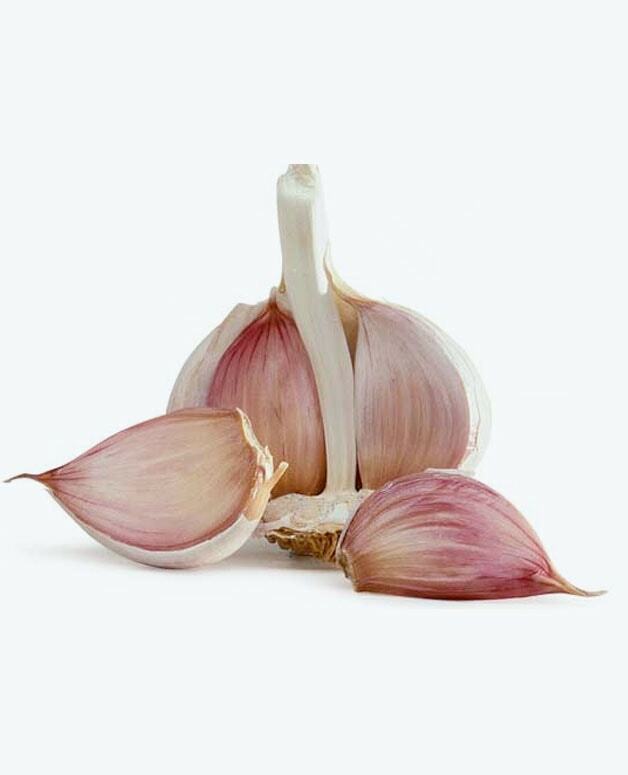 An excellent roasting garlic that holds texture and flavour. One of the best garlics for baking in bread; mince and knead it into the bread dough where it will melt while baking! 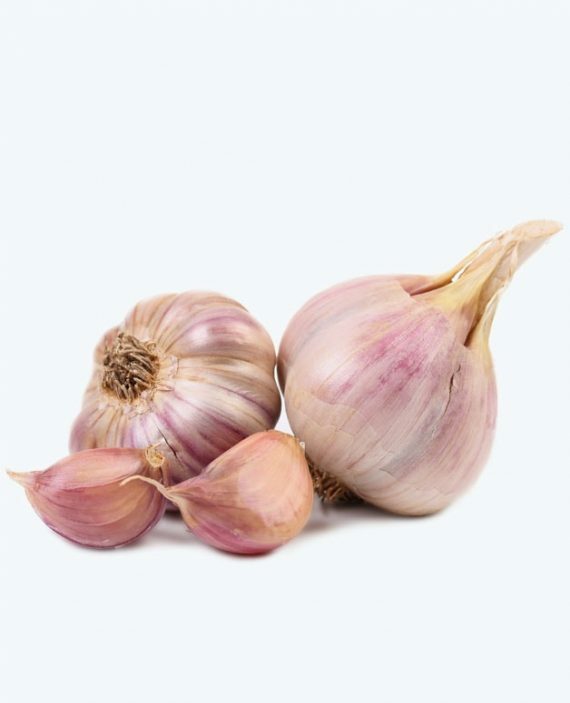 Rich burgundy stripes run down the smooth, white skin, approximately 6-9 cloves per bulb and 16 – 20 bulbs per kilogram. Purple Glazers are tall plants with dark green very elongated leaves with a definite blue cast to them in the sunlight. They usually the tallest garlics. With good growing conditions the bulbs can get very large, up to 5cm in diameter. The inner bulb wrappers of Purple Glazers can be almost solid purple with The cloves are dark brown with purple streaks and long sharp pointed tips. Harvest Mid-season early summer. These bulbs store every bit as long and firm as the standard Purple Stripes, around 7-8 months at room temp after harvest.